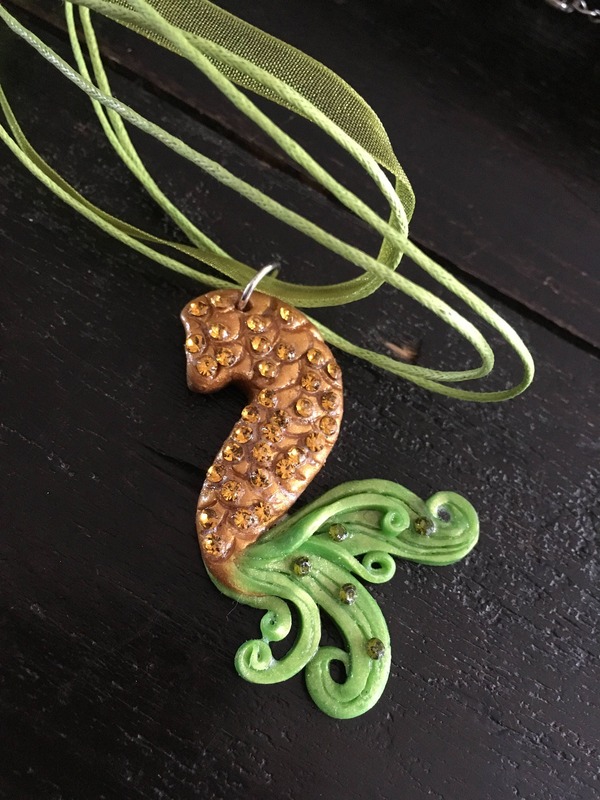 Mermaid Tail Pendant Necklace. 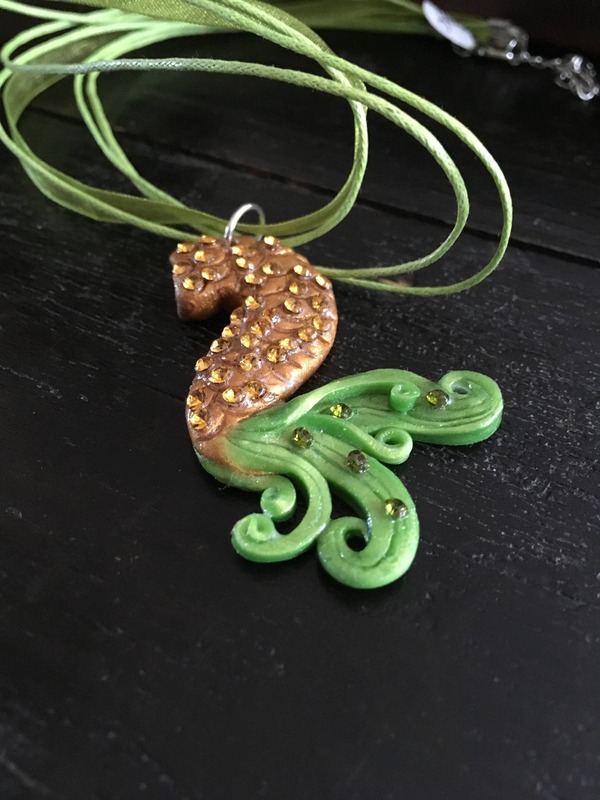 Hand sculpted polymer clay and encrusted with Swarovski Crystals. 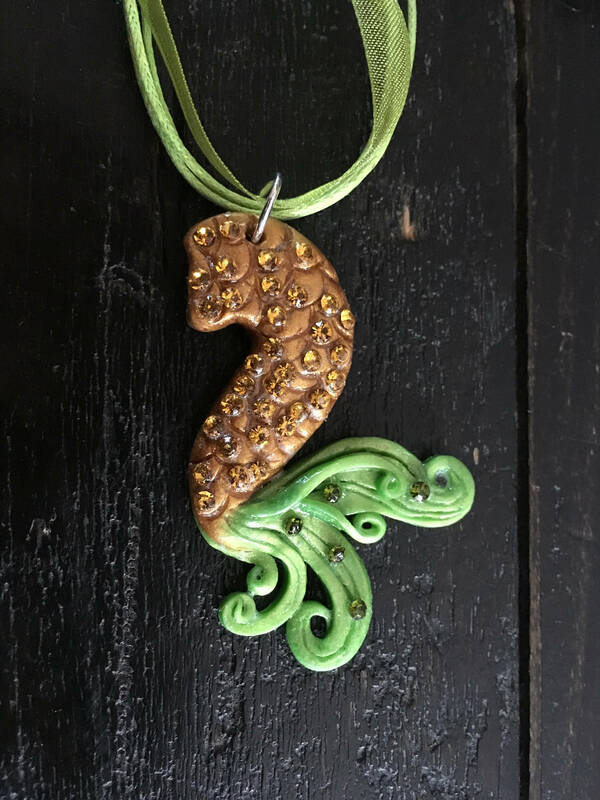 This Mermaid Pendant hangs from green ribbon and satin cord. DOMESTIC SHIPPING: At this time, I can only issue a refund or replacement if the item arrives broken or the package is lost. This necklace ships $6.90 USPS Priority shipping - this covers insurance and provides a tracking number. If the package is lost or the item arrives broken, the insurance will enable me to make a new piece and send to you for free.